Although teamwork and collaboration are at the very heart of change leadership, partnerships aren’t always simple. Leading change requires understanding your own complexities as a change leader and how those complexities affect your relationship with others. For me, it involved recognizing how to harness this paradox of competition and collaboration. It is in partnership that I have learned the most about myself, and perhaps my biggest learning has been around collaboration. I haven’t always been so great at collaborating with the different aspects of myself, especially those qualities that are polar opposites. For I have a behavioural paradox: I am naturally highly collaborative and extremely competitive. This paradox has been uncomfortable and confusing at times. You can bet it has been confusing for my collaborators on occasion too! I have been acutely aware of the discomfort of feeling split between wanting to bring my collaborative side to a situation one minute and the competitive side the next. It wasn’t until I began my Lumina practitioner training and was given the Spark Portrait which depicted this paradox so vividly that I became fully aware of it. Only once I named what I was experiencing as a paradox could I claim it as a strength, when used with intention and skill. Having a behavioural paradox gives us range, the ability to bring the strengths of both qualities to any situation. In embracing the strengths of both the collaborative and competitive parts of myself, I’ve become more intentional and transparent about which quality I use in each moment. Transparency helps to avoid losing the trust of others through seemingly inconsistent behaviour. On reflection, never was this paradoxical behavior more apparent than in the world of competitive race-walking. Paradoxically, it was also whilst competing as a race-walker that I first learned about collaboration. Coming from a remoter less populated county of Northern England, I was the only race-walker in my club. Not an issue for what is predominantly an individual sport. Year after year, my strongest competition would be one of the ‘Sheffield Girls’ – the strongest team of women walkers in the country at the time. One particular race, in a lapse of concentration, I allowed four Sheffield Girls to pull in front of me to make a human wall across the track. They slowed right down and allowed their star walker to set the pace. The only way for me to be free to race my race was to go wide into lane three and go around them and their fourteen-year-old elbows! ‘Yes!’ to collaboration of teammates and ‘Yes!’ to competing, for the purpose of deeply challenging each other to bring our best. In the next race, a road race, I was having a tough time being bumped and jostled in the beginning stage of the race by none other than the Sheffield Girls. To add to my troubles, I could hear someone breathing down my neck. It was world veteran champion Lillian Millen. Into the fray she barged with me tailgating her. Once we were through, she stepped to the side and let me through to set the pace and take her with me. For a brief moment we were collaborators, and in the next, competitors. In agreeing to compete, each and every one of us in that race were collaborating in raising the bar. 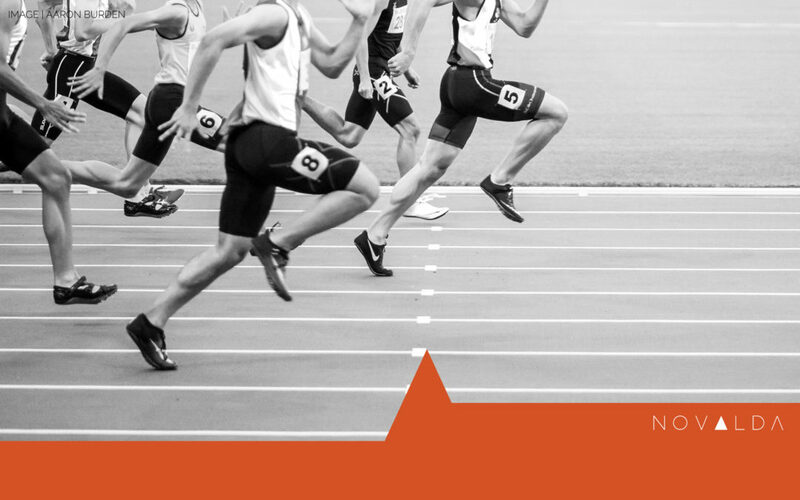 Celebrate your competitive streak and those who compete and collaborate with you! Although this paradox can be challenging at times, when I see people working together to raise the bar, it represents what is most inspiring about humanity. Question | Change leaders, how can you turn the urge to compete into an advantage for your team?